Australia is fast becoming one of the hottest spots in the world where entrepreneurs can meet success. Whether it is technology, travel, cuisine or any other industry, there is a huge market in Australia with lots of room for growth. Below are just a very few startups whose owners have taken advantage of the venture capital opportunities, favorable tax policies and business support that Australia has to offer new business owners. Beam Me is an information Short Message Service (SMS) company that facilitates the delivery of requested information on behalf of customers. The information is sent directly from the company website to the mobile phone of the consumer. 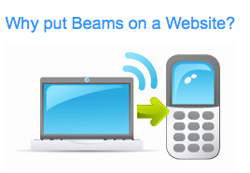 The information is transmitted by a “Beam”, or a piece of information with Beam Me’s code installed in the correct format. How it works is that the company website displays a small button next to relevant content and the viewer simply clicks on the button to conveniently receive information directly to their mobile phone. They can also forward information to other cell phone users quickly, rather than typing long internet addresses into their phone. Additional benefits of the service include global delivery to over 78 countries and less environmental waste from paper used to write conventional messages. Travellr is a unique website that posts travel questions on interesting topics. The questions are posted in real time and answered by a group of experienced travelers. When a question is asked, a recommendation engine routes the question to local residents and past UK visitors that have similar interests. The website is moderated by members that provide the most knowledgeable and comprehensive answers possible. Travelrr boasts a membership of over 29,000 travelers from over 120 countries. The website differs from conventional travel forums in several other ways. Visitors are connected to Facebook and Twitter in order for their questions to be presented to wider audiences. Members can search for specific answers because the content is tagged with country, region and city geographical information. Members can also receive email notifications as answers to their questions are found so they do not have to sign in to the website every day. Travellr is owned by a software development team with a passion for traveling. Screen Quest Australia Pty Ltd is an independent film and television production company based in QLD. The company provides a community for independent filmmakers to come together to work toward producing their films. The company gives filmmakers creative freedom and provides new filmmakers with on-set experience and the skills to succeed. The company boasts being ahead of the pack in the industry relating to location, casting and additional production. Ever developing, potential new projects include obtaining additional novel rights which can be adapted into movies and self distribution. Screen Quest Australia is an associate of Australian talent Management. Regional Events Live is a newer company that serves to help promote events of all sizes. 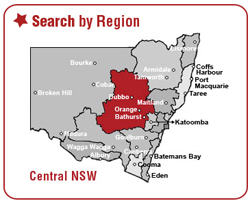 The business concentrates on events of all types by volunteer organizations to governmental departments in the Regional NSW area. Events are organized by town, interest or dates. Users can browse the events calendar for a glance at events for an entire month. They can also sign up to receive email alerts of their choosing. The success of Regional Events Live is the ease with which organizations can list their events. They are given the option of free listing or high targeted paid listing. The website is popular with people who do not want constant emails or advertising but would rather save time and frustration by finding event information in one place. The company boasts that, on average, visitors to their website search for almost nine minutes. This is a very promising number since recent statistics state that it takes approximately 6 seconds to either pique or lose a website visitor’s attention. Drive My Car Rentals is an innovative rental company that connects car owners with drivers to create a win-win transportation option. They are one the very first successfully operational commercial peer to peer vehicle rental companies. Vehicle owners who need a little extra income use the community to find a responsible driver to lease their car. They are able to choose the drivers they desire based upon age and other factors. The owners can either accept or decline any requests to book their cars. Drivers who want to pay a lower cost, often less than 60 percent, than conventional car leasing companies find the company very useful. The can also find a wider variety of makes and models to choose from. Vehicle owners pay an annual fee for their listings. The rental rates are automatically set with the online rate calculator. Drivers seeking vehicles are able to search the listings and book online. The website arranges the rental agreement, payments and insurance. This successful startup has already expanded their services to meet the demands of their business. One new service is a useful insurance product that covers the owner’s vehicle during rental at a small daily cost to the driver. The company now also offers short term vehicle leasing up to 12 months in addition to short term car rental. It is now in the process of managing insurance replacement vehicle operations and expanding services throughout Europe and the United States. Kristy is an adventure traveler and freelance writer for Drive My Car Rentals Australia. If you’re looking to rent a car for your next Australian road trip and whether you are looking for car hire in Sydney or Perth, check out Drive My Car Rentals enormous savings and huge range of vehicles. Car rentals are always one the most successful businesses in the world due to the in demand clientele.